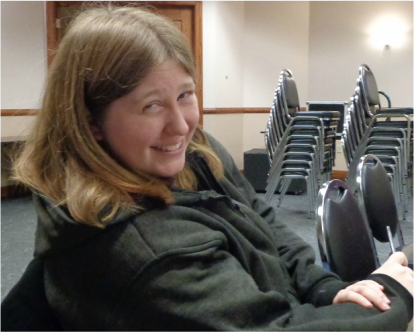 Amanda's topic was "ROCKFORD'S FORGOTTEN DRIVING PARK," a west-end horse racing park which was (approximately) north of Welsh School property between Hoffman Blvd and Ridge Avenue. It was used for more than a sulkie racing park, Amanda told us, including once as fairgrounds. The park was not overly successful due to mistakes in management, park design flaws, bad luck, poor weather, and other unfortunate events. Amanda's multi-media presentation included a drive around the perimeter of the park via mounted video camera. If you missed her presentation, you can read about the park in Nuggets of History Volume 51(Nos. 2 & 3) 2013. 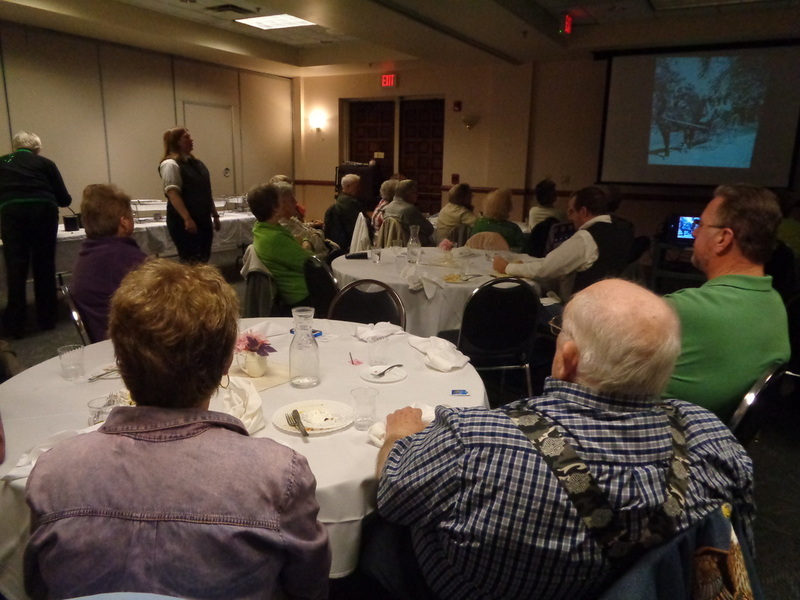 RHS members and friends listen as Amanda Becker tells about the history of Rockford's Driving Park. Copyright Rockford Historical Society, 2015. All rights reserved. Event photos by CFox.